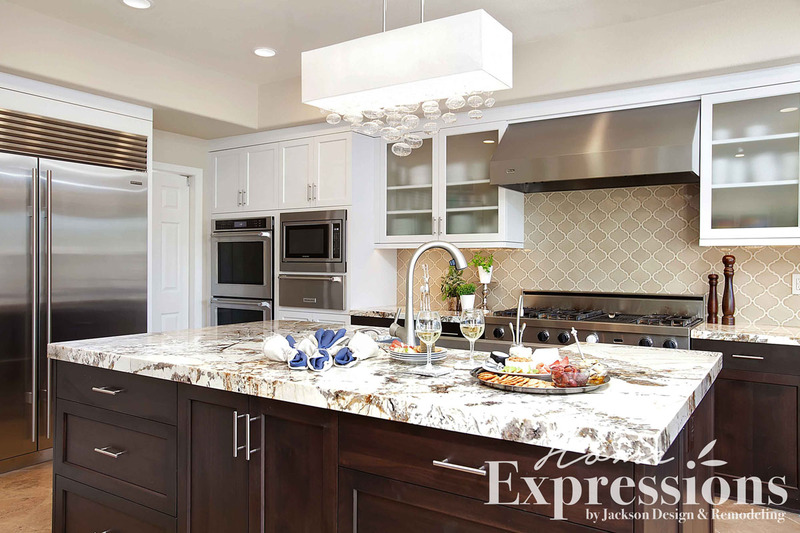 Creamy whites, rich browns and supple materials harmonize to brilliant effect in this spacious kitchen. 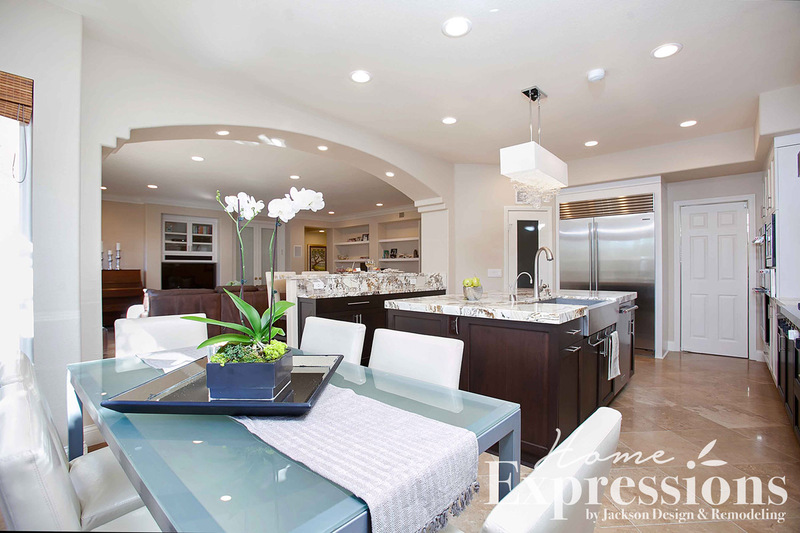 The open layout with thoughtfully designed seating areas is ideal for entertaining. 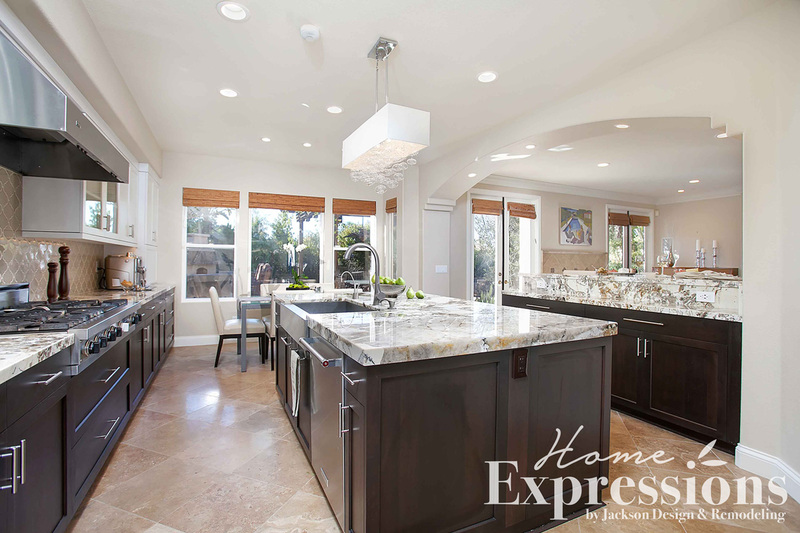 Marble countertops gleam with elegance under a glittering central chandelier. 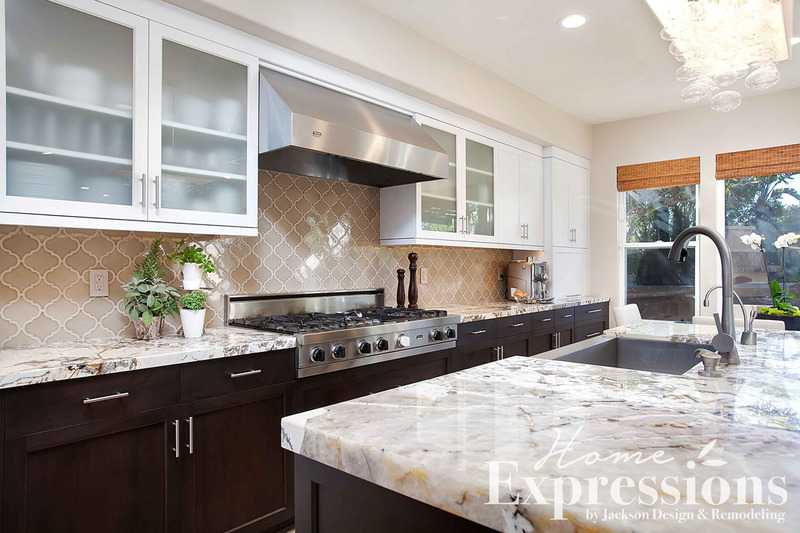 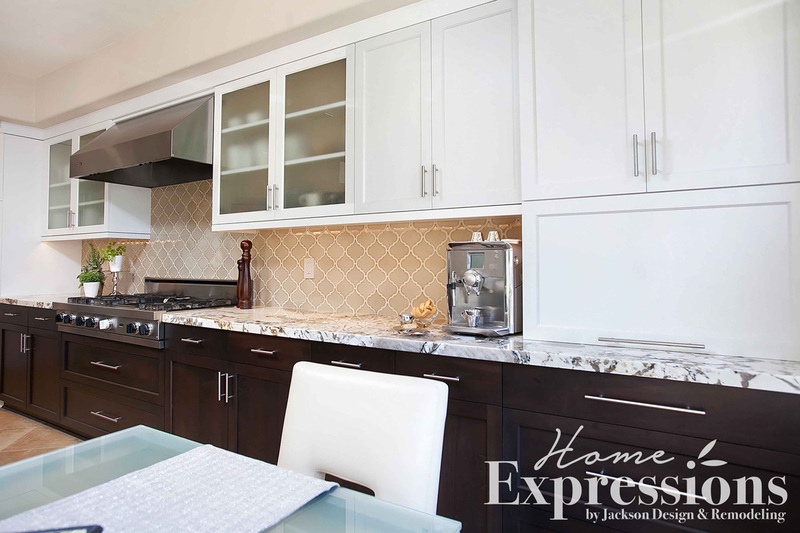 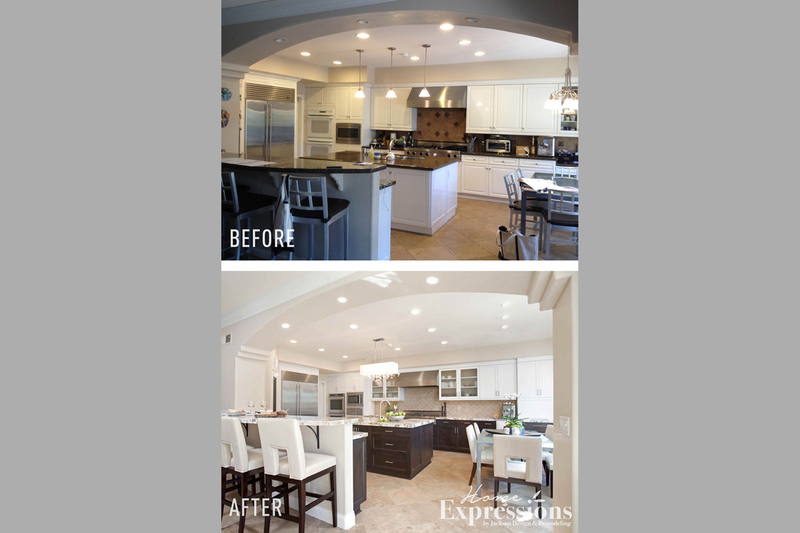 White and dark wood cabinetry presents an appealing contrast. 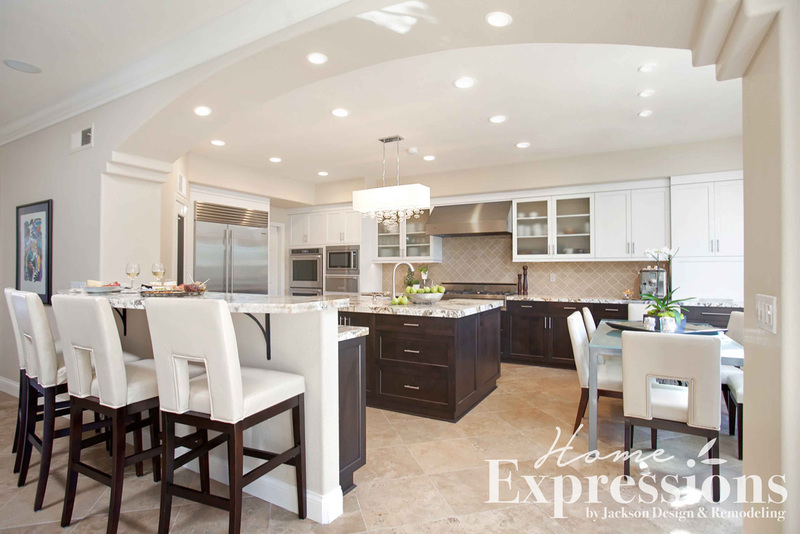 A study in simple elegance, this kitchen is refined, welcoming and functional.